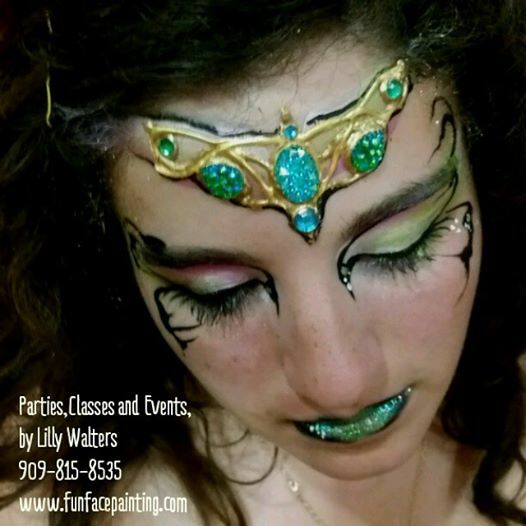 Princess Face Painting Class Personal Training and Coaching to Be A Face Painter With Lilly Walters, author and artist. Bling! Where to buy it, how to organize it, and many ways to use it! We will start with 20 minutes of ADVANCED brush stroke warm-ups. Strokes specific to creating Princess designs for parties and portraits We spend the rest of the time working on designs which you will actually paint yourself. You will practice on paper practice sheets (which Lilly will provide), your arms and the arms of fellow students. We balance our 4 hours with observing Lilly's designs and techniques and lots of hand- on practice. After the class, we will stay for hours to practice. 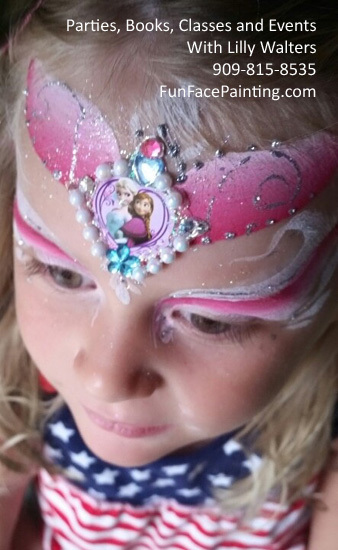 A 5 page workbook is provided and color photos of some the top princess faces created by face painting superstars. 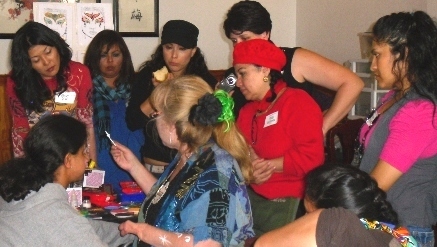 Those who have already attended Lilly Walters' Intro to Professional Face Painting, AND those who are already at a level for which you are being paid to do face painting. $25 for a refresher (students taking the class a 2nd or 3rd time). Lilly is very punctual and will not waste a minute of your time! In fact, if everyone comes EARLY, we will start early and get in EXTRA class time!! No guests are allowed. Only paid participants. Want to receive occasional messages about where Lilly is teaching?